Ouro Preto, (Black Gold) founded at the end of the 17th century, was the epicenter of Brazil's gold rush in the 18th century under Portuguese rule. The city contains well preserved Portuguese colonial architecture, with few signs of modern urban life. Modern construction must adhere to historical standards maintained by the city, to keep its UNESCO heritage status. From Belo Horizonte it takes one and a half hour to reach it, through a winding but pleasant road. 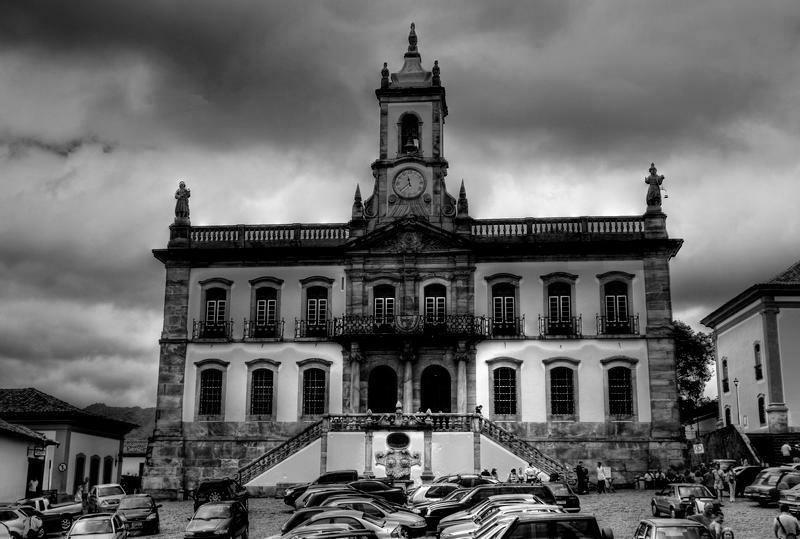 Ouro Preto was the capital of Minas Gerais from 1822 until 1897, when the needs of the government outgrew this town in the valley. The state government was moved to the new, planned city of Belo Horizonte. 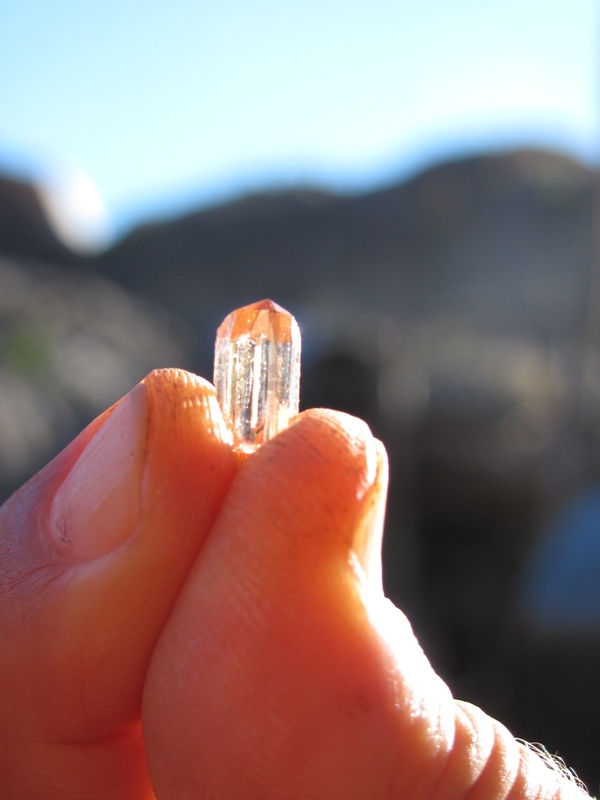 There are several Imperial Topaz Mines in the area, apart from many nameless small open pits. The most important mines are Mina do Vermelhão, in Saramenha and the Capão Mine. This last one is the largest mine for Imperial Topaz in the world. It is an open cast mine, where weathered topaz-quartz-calcite veins are mined. The gravel is transported by a dredge bucket to the hydraulic washing station. The clay is removed with huge water cannons and the material is transported to a sorting a belt, where the crystals are picked out by workers. They process tons of clay to get a few dozen topaz crystals per day (2 cubic meters of rough for 1ct of gem). This trip, I was really lucky. I was able to get Topaz on matrix, Topaz inside gemmy Quartz , Gem grade Topaz, that is being cut as I type and some beautiful Purple Topaz! There are several mines in Ouro Preto. One of them is indeed owned by an American. Mina do Capao, is the one that has a more constant commecial production and is owned by Brazilaians. They do produce important specimens. Unfortunately it goes from mine to collector and most people don't get to see them. If you do go to Brazil someday, they have tours of the mine.